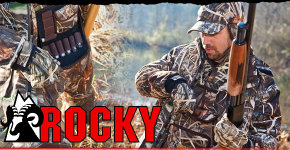 The Rocky Hunting Log enables outdoorsmen to record weather conditions when hunting, track moon phases, track success with the use of specific weapons and types of ammunition, use GPS to record the exact location of your kill and much more. Ability to maintain a concise record of data relating to hunting. 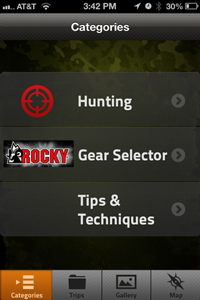 Ability to build libraries based on what type weapons and ammunition you use when hunting. Ability to select from comprehenisve game type libraries to select specific game.